In 2016’s hit sci-fi head-scratcher Arrival, Amy Adams plays a linguistics professor tasked with figuring out how to communicate with an extraterrestrial race of squid-like heptopods whose “written” language mostly just looks like a series of napkin coffee-ring stains. But the film (currently nominated for eight Academy Awards) is far more elliptical and intellectual than your standard studio-produced alien-invasion thriller. At its core, Arrival is a film about receiving and piecing together discreet bits of visual information to puzzle out some sort of greater meaning. And really: isn’t that what filmmaking—and particularly film editing—is all about? 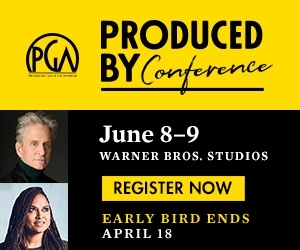 But as much as some auteurs might relish the ability to simply spray their films onto the big screen from ink-sac glands nestled in the folds of their sickly gray heptopod pincers, the fact remains that, for now at least, directors are reliant on the talents and abilities of their collaborators—chief among them, the editor. 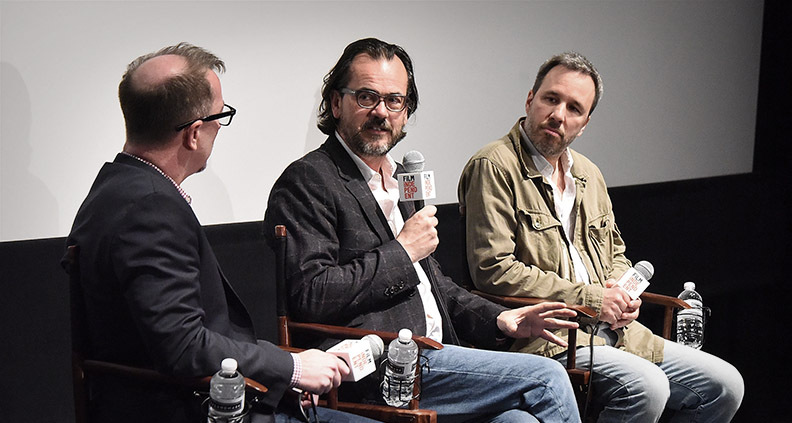 At least that was the opinion of Oscar-nominated Arrival director Denis Villeneuve, who joined editor Joe Walker (likewise Oscar-nominated) for night three of Film Independent’s 2017 Directors Close-Up series at the Landmark Theater in West LA. The January 15 panel, “Arrival: Creating the Visual Language” was moderated by Glenn Kiser, Director of the Dolby Institute. The delightfully Quebecois-accented Villeneuve (Prisoners, Sicario) began by comparing shooting and editing to “hunting and cooking” and claimed that, along with star Adams, “[Arrival] owes almost everything to Joe Walker. We never changed the nature of the story, but at the end of the day the script is just a blueprint.” Villeneuve also expressed his admiration for the editing process, saying that were he not a director, he would be an editor—sound familiar? Kiser asked the duo about their process. “I’m an editing room nut,” said Villenueve. “It’s not about trust or a lack of control. Editing is just such a pure pleasure, I love to be deeply involved.” Walker noted that his close collaboration with the director was a far cry from his early days at the BBC, which typically amounted to a single, cursory round of notes. The filmmaker stated that, when shooting, he strives for “precise, minimalist coverage.” From there, Walker and Villeneuve do a first pass to “attack the structure,” saving their refining of micro-details for subsequent passes. “It’s best when I’m surprised,” said Villeneuve of the process. Villeneuve also observed the necessity of designing large-scale creatures in order to justify the aliens’ booming aural accompaniment—a low frequency sonic throb which utterly dominates the sound mix at several critical points in the film. “We incorporated sound design well before we even knew where we would be mixing,” said Walker. Ultimately, the production teamed up with the New Zealand-based studio that had previously done work for District 9. Kiser asked the filmmakers how they maintained the ability to see the film through fresh eyes throughout post. Said Villeneuve, “It always starts with the screenplay. I’m trying to reach that emotion again as [we shoot]. After that, it’s fate.” Kiser then inquired about the value of friends and family work-in-progress screenings vs. previewing the film for the general public. “I like to show [the film] to someone who is either close enough to me to bring their baseball bat or to someone who doesn’t care at all,” he said. Villeneuve described test screenings as a simultaneously “painful and useful” process. “It’s like having a premiere—and then you get to go back into the editing room. To give just enough, and not too much,” he said. Walker agreed: “There’s no denying when you’re in a room and people are restless,” he said. 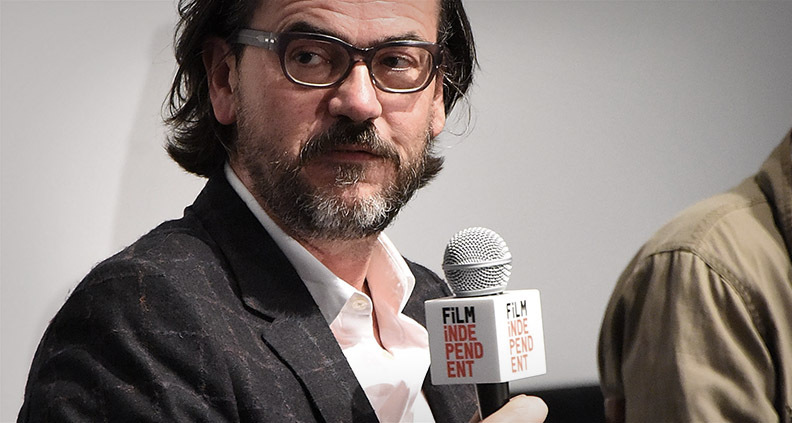 To learn more about Film Independent’s Directors Close-Up—including how to attend next week’s fifth and final event—just click here. For more info about Film Independent, please visit our website or subscribe to our YouTube channel. Learn how to become a Member of Film Independent by clicking here.